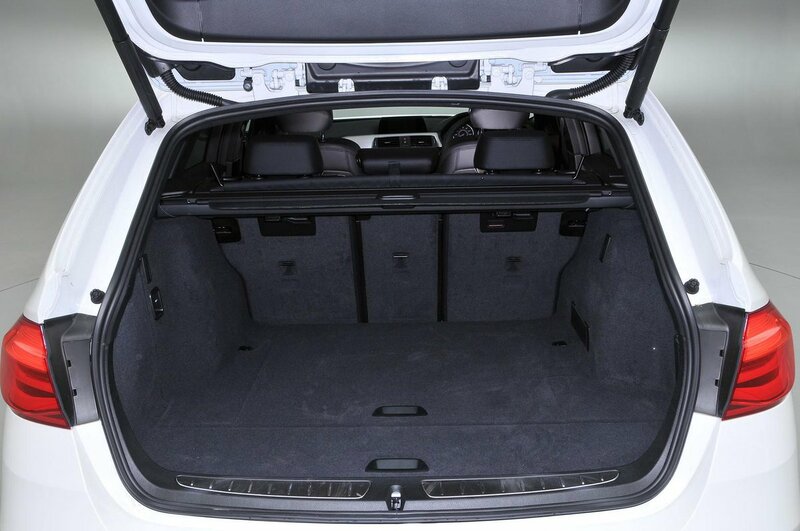 BMW 3 Series Touring Boot Space, Size, Seats | What Car? Getting in and out of the front seats in a 3 Series Touring is easy, thanks to the car’s wide door apertures and its fairly low sills. There’s about as much space as in its Audi and Mercedes rivals, but the Volkswagen Passat offers even more. It’s a moot point, though, since even those over six foot will find they have more than enough head and leg room in the 3 Series Touring. Storage options are numerous and varied. The door pockets each have space for a 1.0-litre bottle of water. There’s a storage compartment under the centre armrest and two cupholders in front of the gearlever, while the glovebox is a decent size. An optional sliding front armrest is worth adding, since it’s a very affordable extra and adds an element of flexibility. Like in its direct rivals, there’s just enough space in the rear for two taller adults. Leg room is decent, foot space under the front seats is generous and there’s adequate head room. Shoulder space is tight for three adults sitting across the back, though, while the middle passenger has to place their feet either side of the high central tunnel. It’s in the rear that bigger rivals such as the Skoda Superb Estate excel. 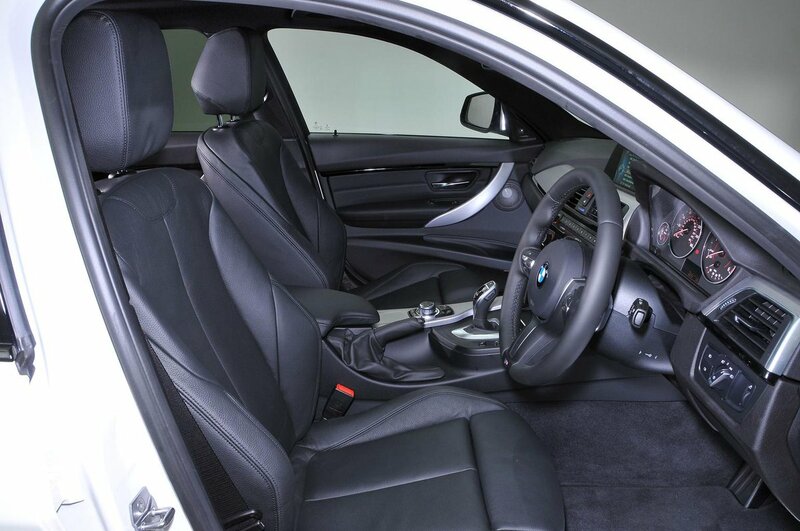 The Superb’s wider interior and much more generous leg room make it feel more spacious in the back than the merely adequate 3 Series Touring. However, rear passengers are at least well provided for. Each rear door contains a small storage pocket and there are adjustable rear air vents mounted in the back of the front centre console. 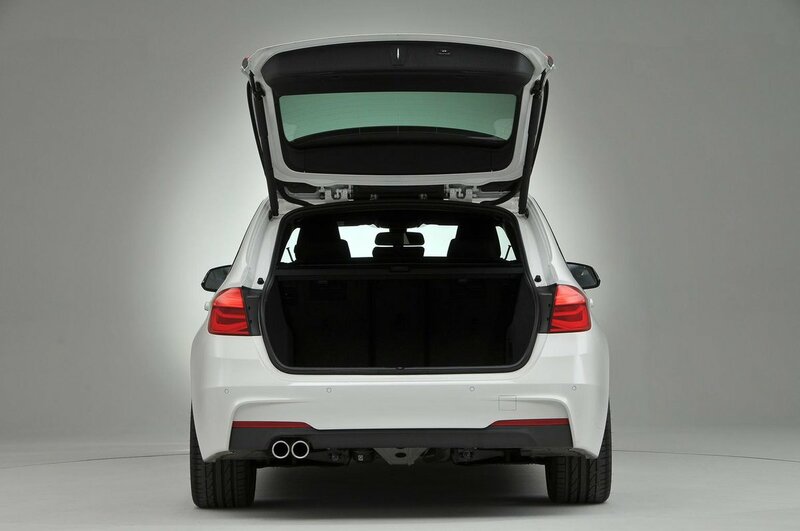 A folding rear armrest containing two cupholders is standard on all models, while retractable rear sunblinds for the side windows will be a popular option for those with young families. The rear seats split and fold in a 40/20/40 arrangement as standard. You drop them by pulling the release levers by the rear headrests. It’s easy enough, but it’s a shame that there are no levers in the boot to offer easy folding from the boot area. Because the rear seats can be dropped in three parts, there’s plenty of potential for carrying a few longer items while still accommodating one or two rear occupants. The front passenger seat is height-adjustable, although it’s an awkward spring-loaded system that means you have to lift your weight from the seat to raise it. Lumbar adjustment is an optional extra – fortunately, specifying it means you get it on both front seats – and there’s the option of fully adjustable electric seats on all models. The boot is around the same size as that in the Audi A4 Avant, although both are dwarfed by the Superb Estate’s. The 3 Series Touring’s rear wheel arches cut into the boot a bit more, making it a slightly more awkward shape than the A4’s. The opening is narrower, too. That said, it can accept a couple of pushchairs or chunky suitcases with relative ease. The rear windscreen opens independently of the bootlid, giving access the boot if you’re in a rush or are restricted by a low ceiling from opening the bootlid to its fullest extent. 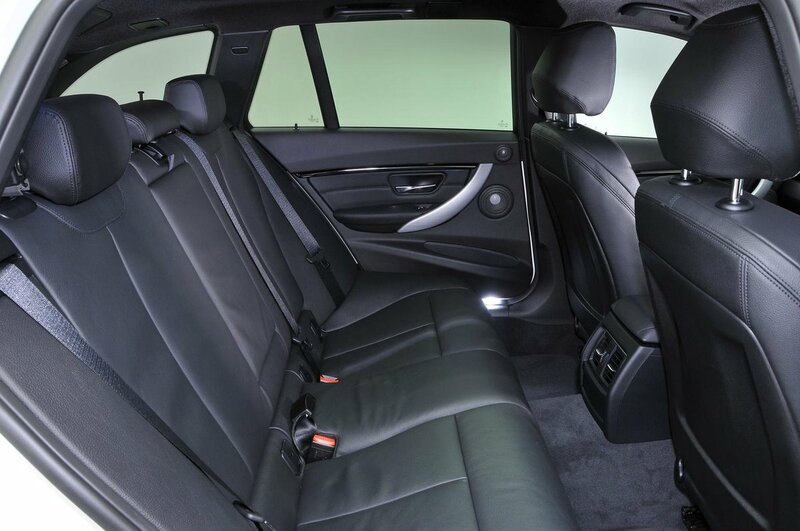 The rear seats can fold to create a virtually flat load deck up to the backs of the front seats, although the width of the floor isn’t especially great by class standards. There are lashing hooks on the floor and on the sides of the boot, as well as a couple of cubbies on each side and a small amount of underfloor storage that’s useful for hiding valuables.